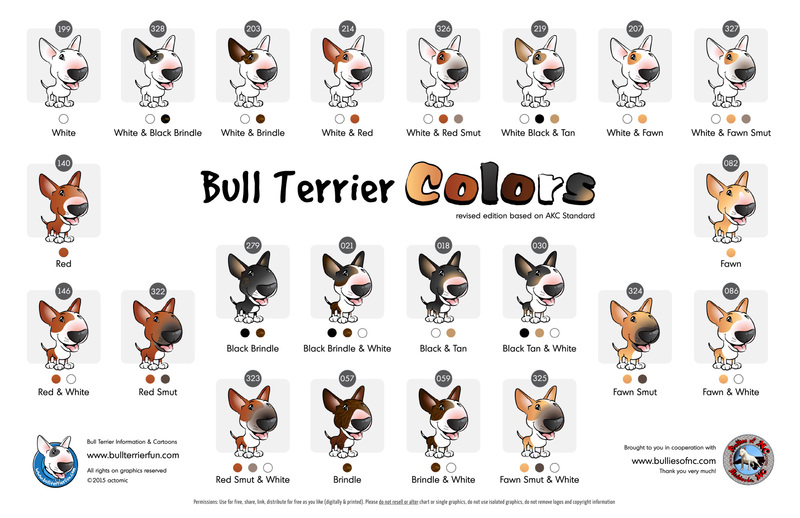 With the friendly help of Steve from www.bulliesofnc.com (thank you, Steve) I was able to turn my original chart, which I had first set up months ago, into a neat reference on Bull Terrier colors. 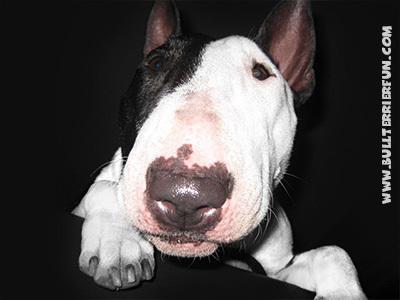 Feel free to share this image. A printable version is available on request, if you want one.